Prevent pollutants that cause premature ageing of the skin. Real cane sugar crystals soaked in a sparkling blend of citrus oils with pure tamarind pulp adds a therapeutic dimension to this stimulating body polisher. The fresh fragrance of Bitter Orange and Bergamot leaves one feeling highly invigorated, while the pure, raw Sugar content exfoliates, intensively hydrates and repairs the skin, leaving it gleaming and glossy. 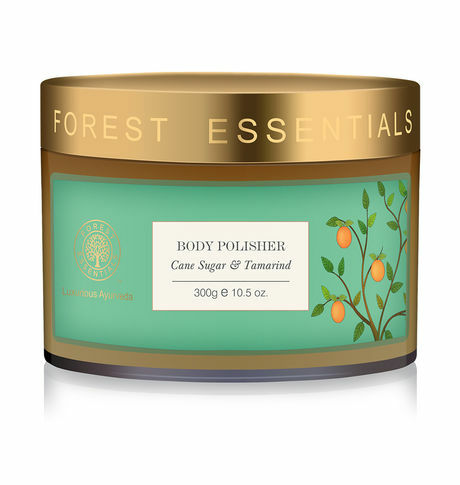 This Body Polisher with Cane Sugar and Tamarind gently removes dead cells and rejuvenates skin cells. It deeply penetrates the skin; detoxifies and re-energizes the skin to impart a youthful and fresh look. -Moisturizing properties of natural cold pressed oils help in cell regeneration. Regular use of this body polisher gives a radiant skin with ultra rich smoothness.